BROOKLYN INSPIRES ME IN MANY WAYS: PEOPLE, ARCHITECTURE, ARTS & CUTURE. I LOVE BEING A BROOKLYNITE! 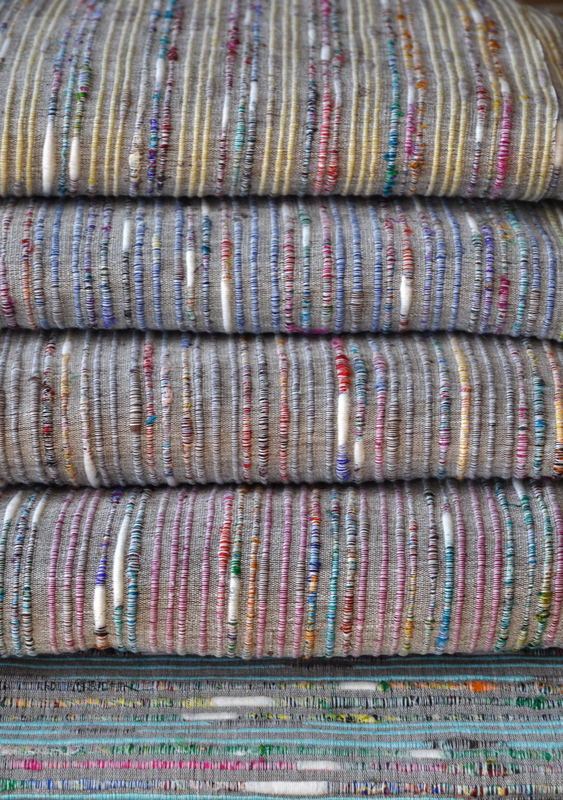 THIS COLLECTION CELEBRATES ALL THE DIVERSITY AND BEAUTY OF BROOKLYN, HANDWOVEN USING RECYCLED SILK SARI YARN; COTTON, VISC & SILK, HANDWOVEN IN 5 EYE CATCHING SHADES FROM TOP TO BOTTOM: CITRON, ECLIPSE, SPARROW, BEAUJOLAIS & TURQUOISE MULTI.